A river is a natural watercourse. Just as the song “Ol Man River” says “it just keeps movin along”. No matter what happens, unless some natural disaster prevents it or a man made dam stops it, a river will always keep moving forward, flowing toward another river, or towards something bigger perhaps, like the ocean, a lake or sea. Rivers are wonderful works of God and there are so many that they cannot be counted. There are thousands of rivers all over the world, all flowing forward, some fast, some slow, some big, some small, but they are all moving, constantly moving–forward. That is so inspiring to me, and I think we would all do well to pattern our lives after the rivers, to focus each day on moving forward, whether it be slow or swift. I have many fond memories of rivers, having grown up very near to one. My childhood home was very close to the Des Plaines River in Illinois and as a child I spent a lot of time sitting on it’s banks fishing in the summer or ice skating on it in the winter. 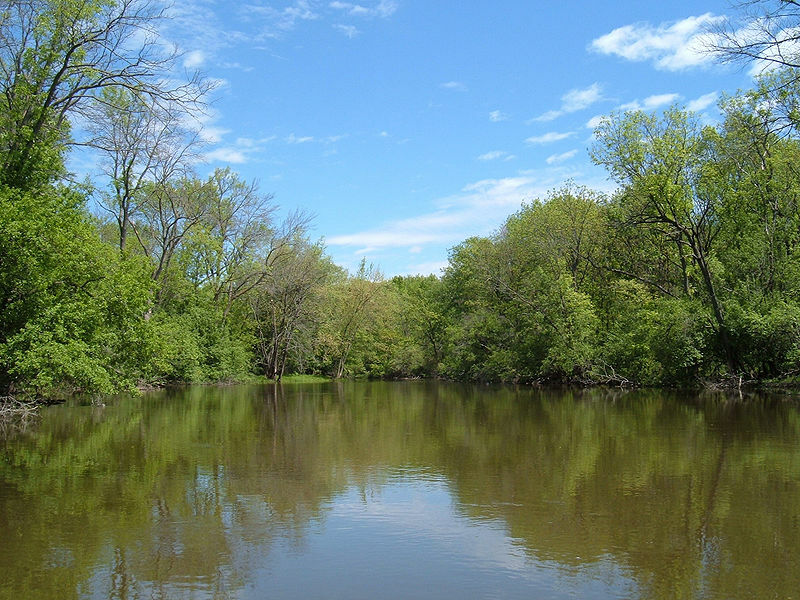 The Des Plaines is a slow moving river that begins in Wisconsin and flows through Illinois to meet the Kankakee River which eventually becomes the Illinois River that flows into the Mississippi River. Rivers inspire me and I actually enjoy a visit to a river over one to the ocean. Probably because a river seems more like a friend you can sit down and relax with. During the course of my life I have been fortunate to visit quite a few rivers all across our country. While living in Iowa I was able to enjoy the Iowa River, Cedar River and Mississippi River all which were close by and though each was different in its own way, the one thing they all shared was that forward movement that is so inspiring ! One summer my grandsons and I made it a point to visit one “Creek a Week”. It was our part of our “Tuesdays Discovery Days”. Being that Tuesday was my day off from work, that was the day we would go on adventures. This particular summer we became intrigued by all the Creeks in Johnson County that seemed to flow out from the Iowa River, so we decided each Tuesday we would visit one, take a picture and explore. It was such a fun summer and even though we never did find all the many Creeks, we have many memories that are priceless. Here in Oregon, we have the Williamette River which ranks 19th in volume among U.S. rivers. It’s forward movement carries it to the Columbia River and then eventually to the Pacific Ocean. 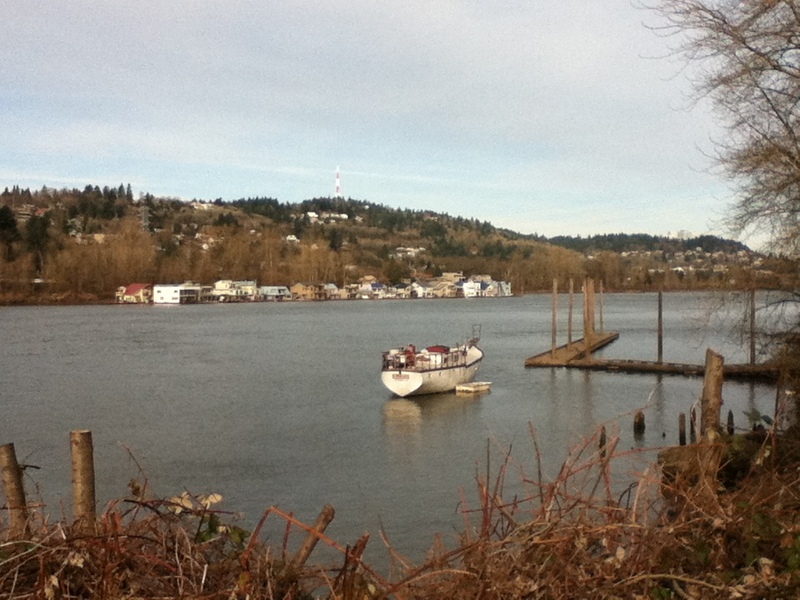 I would suggest that you take some time to get to know this River that is in Portland’s backyard. Visit it, sit on it’s banks, watch it flow, investigate the life it carries along, and give thanks for it’s constant forward motion. Then, perhaps, make it a point to visit as many rivers as you can this year, just to see their beauty, feel their differences and note their purposes. I am sure if you do, your life will be enriched by all these wonderful works of God–our Rivers !